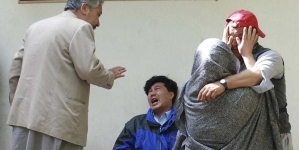 Heavily-armed militants wearing suicide vests stormed a police academy in Quetta, killing at least 59 people and wounding dozens more, rescue officials said Tuesday, in one of the deadliest extremist attacks this year. 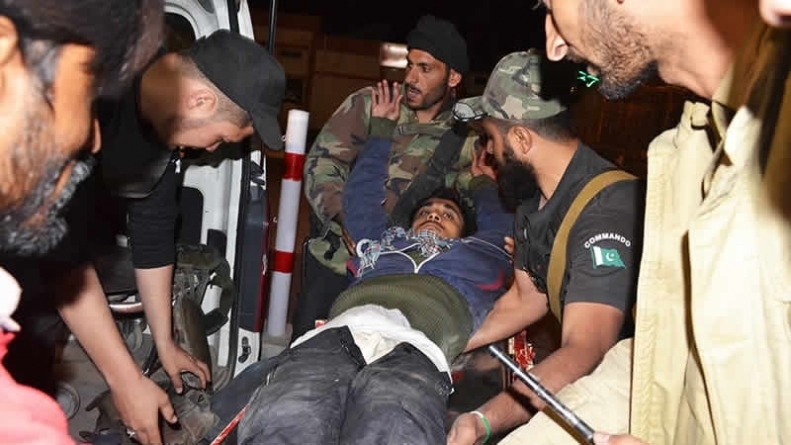 Communication intercepts showed the attack was carried out by Al-Alimi faction of the Lashkar-i-Jhangvi (LJ) militant group, IG Frontier Corps (FC) Major General Sher Afgan said. Most of the deaths were caused when two of the attackers blew themselves up. The third was shot dead by Frontier Corps (FC) troops. 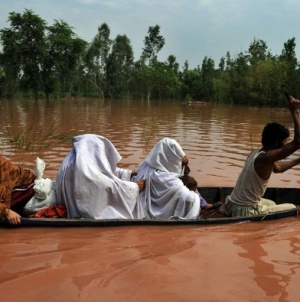 At least 120 people were injured, DawnNews reported. “I saw three men carrying Kalashnikovs… they were in camouflage and their faces were hidden,” one cadet told reporters. “They started firing and entered the dormitory but I managed to escape by climbing over a wall.” Balochistan Home Minister Sarfaraz Bugti confirmed to reporters that there had been three attackers. They first targeted the watch tower sentry, and after exchanging fire, killed him and were able to enter the academy grounds,” he said The attack on the Balochistan Police College, around 20 kilometres east of Quetta, began at around 11:10pm Monday, with gunfire continuing to ring out at the site for several hours. 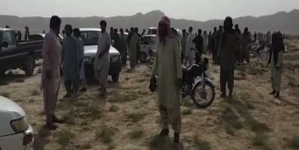 Major General Sher Afgan, chief of the paramilitary FC in Balochistan, which led the counter-operation, said the attack was over in around three hours after we arrived”. The IG FC said “terrorists were communicating with their handlers in Afghanistan”. “There were three terrorists and all of them were wearing suicide vests,” he added. Two suicide attackers blew themselves up, which resulted in casualties, while the third one was shot dead by our troops.” The operation needed to be conducted with precision therefore it took us four hours to clear the area completely, he added. Afgan claimed communication intercepts showed the attackers belonged to LJ’s Al-Alimi faction, which is affiliated with the Tehreek-i-Taliban Pakistan (TTP). The group itself, however, has not claimed the attack. The area was plunged into darkness when the counter-offensive was launched, while security personnel threw up a cordon and ambulances zoomed in and out, taking the injured to hospitals. Military helicopters circled overhead. The cadets were rescued from the college following an operation carried out by Special Services Group (SSG) commandos. The training college is situated on Sariab Road, which is considered to be one of the most sensitive areas of Quetta. Militants have been targeting security forces in the area for almost a decade. The training college has come under attack in the past in 2008 and 2006, with attackers firing rockets into the college playground. It covers about an acre of land located about 13 kilometres outside the main city of Quetta. 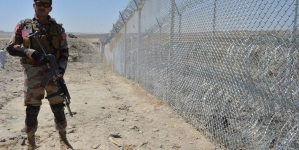 The attackers entered the complex through the front gate after shooting the guard manning the check post. A senior law enforcement agencies official said assailants had fired at the police training centre from five different points. Two terrorist entered the premises after shooting at the guard manning the check post near the front gate, while the third reportedly climbed the rear wall of the police centre. 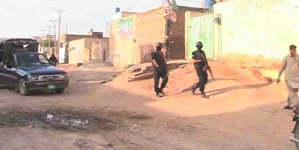 Two attackers entered through the front gate,” SSP Operations Mohammad Iqbal had said earlier. Iqbal further said that the suicide jacket of one attacker was not detonated and his body was lying at the centre premises. He had added that initial investigations showed the terrorists were in the hostel, and as it was dark, there was trouble in identifying friend from foe. An eyewitness speaking to reporters after making a narrow escape said he saw three terrorists directly enter the barracks. “They started firing. We saw them and started screaming. We ran upstairs towards an exit.” He described the terrorists being covered in shawls. The barracks and hostel blocks are situated deep inside the compound, making it hard to hear any sounds of gunshots from the building. The injured cadets were brought to Civil Hospital. Those in critical condition were shifted to CMH Quetta. Extraordinary security arrangements were made in and outside the Civil Hospital to prevent any untoward incident, especially in the wake of August 8 attack when a suicide attacker targeted the hospital. An emergency was declared in all government hospitals of the provincial capital, with the injured shifted to Civil Hospital Quetta and the Bolan Medical Complex. In August, a suicide bombing at a Quetta hospital claimed by the Islamic State group and the Jamaat-ul-Ahrar killed 73 people, including many of the city’s lawyer community who had gone there to mourn the fatal shooting of a colleague. Balochistan is a key region for China’s ambitious $46 billion China-Pakistan Economic Corridor (CPEC) infrastructure project linking its western province of Xinjiang to the Arabian Sea via Pakistan. Security problems have mired CPEC in the past with numerous attacks, but China has said it is confident the Pakistani military is in control.